This is another quick-and-easy self-evaluation form for people who stutter. 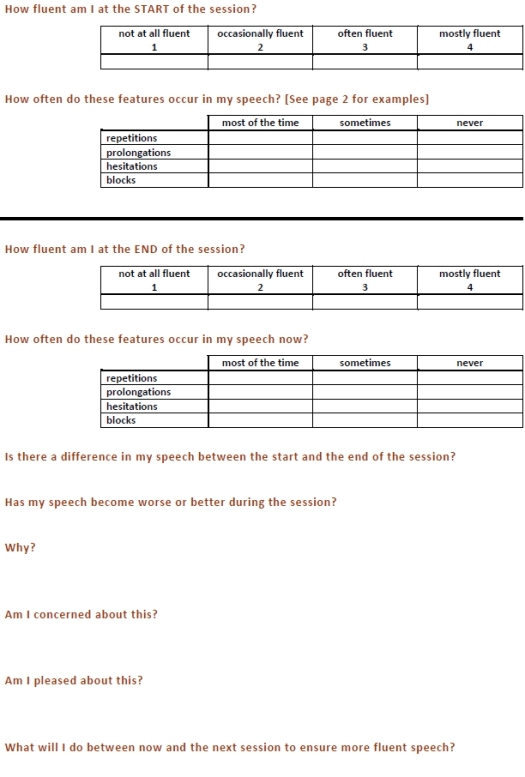 Whereas the Self-Evaluation Form Fluency (SEFF) is designed to be completed following any speech-related task (perhaps one identified using the Goal Setting Form (Stuttering), this Fluency Self-Evaluation form is designed to be completed at the start and end of a speech therapy session. 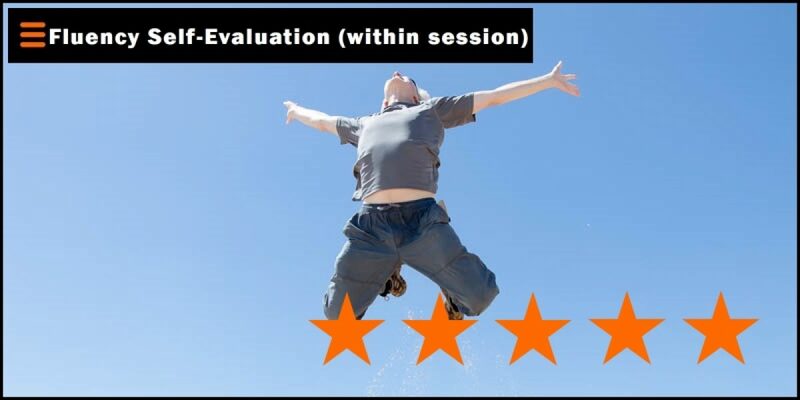 That is to say, it is designed to be used within the session.